The Squero building dates back to the mid-19th century. Its design was inspired by great Venetian architecture and was mainly modelled on the Arsenale shipyards for the design, materials and functional layout. 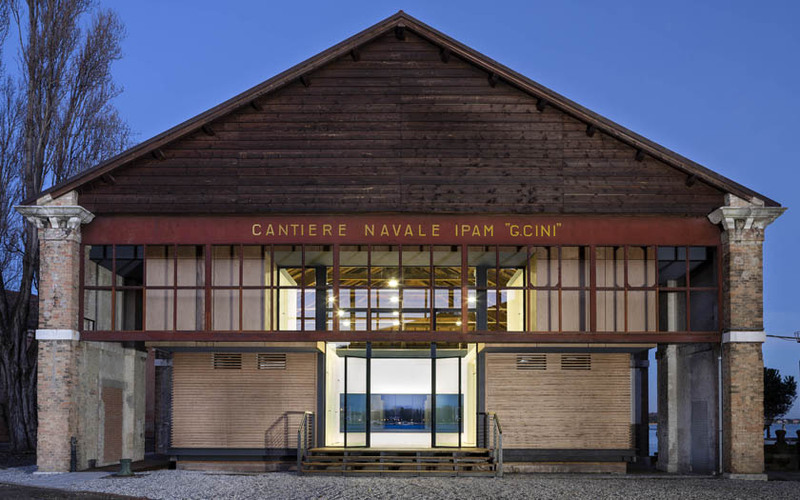 At the same, thanks to its position, it dialogues with the earlier customs storehouse (now Ex Convitto), which in turn was inspired by the warehouses of the Dogana della Salute. The building was converted by the Venetian architects Cattaruzza and Millosevich Architetti Associati. The funds for the conversion were partly provided by the Provveditorato Interregionale per le Opere Pubbliche del Veneto, Trentino Alto Adige, Friuli Venezia Giulia and partly in the form of a donation from the Fondazione Virginio Bruni Tedeschi. The set up of the Squero has been realized with the contribution of Fondazione di Venezia, Melissa Ulfane and an anonymous donor. Thanks to its exceptional acoustics and wonderful position giving directly onto the lagoon, the Squero on the Island of San Giorgio Maggiore is a unique venue combining music and a splendid view. In fact, in front of the audience and behind the musicians, the plate glass windows become a natural backdrop with a remarkable lagoon vista, thus providing audiences with the unique experience of a “waterfront” concert.